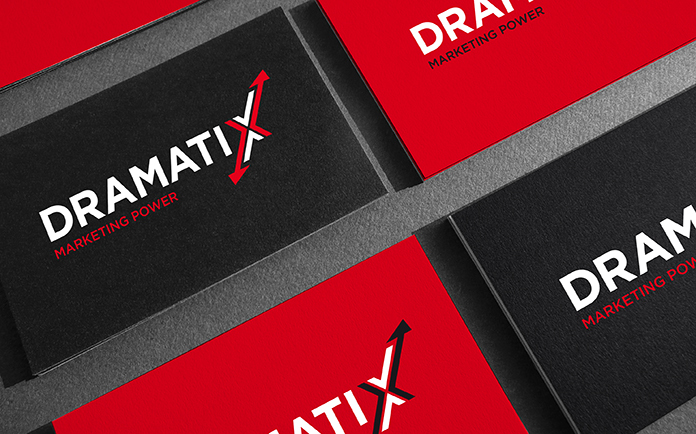 Dramatix is a UK-based marketing company who provide specialist services to small business. They work with start-ups, small businesses and solopreneurs and develop websites, marketing plans and collateral for their clients. The company wished to use the strapline ‘marketing power’ within the logo and they specifically wanted their design to be bold, professional and strong – whilst still interesting and if possible a play on the word ‘Dramatix’ itself. I decided to concentrate on the letterforms within the word and the letter ‘X’ in particular. A bold red, black and white colour palette was also used. The client was extremely happy with the outcome and approved the logo designs from the first round of design visuals.